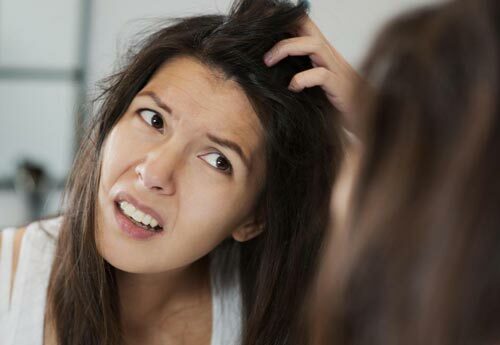 Home » Hair Care » What Causes Dandruff & 10 Home Remedies To Get Rid Of It! What Causes Dandruff & 10 Home Remedies To Get Rid Of It! Hair related problems are no less than a horror flick! Even something as trivial as itching can freak us out, men and women, both alike. One such problem is dandruff. These tiny, snowy flakes of dead skin are one of the most common hair problems. The side effects of dandruff are very mild but it should not be overlooked as it might target the hair roots and lead to hairfall. Here are the most common causes of dandruff and the best home remedies to treat it. Dandruff is the shedding of dead skin cells from the scalp. A small amount of shedding is normal but some people experience unusually large amount of shedding, which is called dandruff. The symptoms of dandruff are easy to recognize like, white oily flakes or an itchy scalp. If you are wondering what causes dandruff, then read on. Oily Scalp: Contrary to the popular belief, dandruff is not only caused by a dry scalp. Oily scalp does inhibit dandruff however too much of oil secretion by the sebaceous gland not only makes the hair greasy but also leads to an outbreak of dandruff. Malassezia, a fungus which thrives on an oily scalp can further worsen the condition. Not washing hair regularly: If you do not wash your hair regularly, it leads to secretion and accumulation of oil on the scalp that causes dandruff. The yeast and fungus continue to feed on it hence it is advisable to wash the hair at least twice if not thrice a week, especially with a medicated shampoo if you already have dandruff. Dry scalp: While an oily scalp is a common cause for dandruff but a dry scalp can be equally harmful. The dryness of the scalp or the lack of moisture can lead dandruff but that is easily treatable with a good medicated shampoo. Winters : Purloined of moisture, cold and dry winds of winter can spell trouble for the scalp. It makes the scalp drier which gives rise to dandruff. Though dandruff can affects both dry and oily skin, the former is more susceptible to it. Hot water : Washing your hair with hot water strips your hair of moisture and oil, thus leaving it dry which in turn, causes dandruff. However, during winters, hot water can be a bit difficult to avoid so wash your hair with lukewarm water in such a scenario. Some other causes of dandruff can be hereditary, product build of styling products, overgrowth of yeast or due to certain skin conditions like eczema, psoriasis etc. Dandruff can be effectively treated with home remedies as mentioned below. Home remedies can be effective for curing common skin and hair problems without having any side effects. Here are some of the best home remedies to keep dandruff at bay. 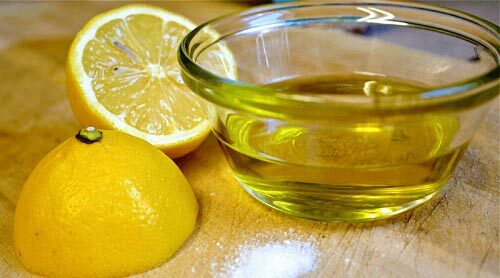 1) Lemon Slice Rub: There are numerous advantages of lemons. While you might be spending a bomb on shampoos and other hair care products to fight dandruff, a quick sneak peek into your refrigerator will be helpful. Lemons, being rich in citrus acid, combats the fungi which give birth to dandruff. Also, the presence of acetic acid helps in maintaining the PH level of the scalp, which keeps dandruff in check. Simply rubbing the lemon slices on your scalp will suffice. You can also apply some lemon juice with coconut oil. Heat the oil and add two tablespoon of lime juice to it. Mix the mixture well and leave it on your hair for around 20 minutes or so. After that wash it off. 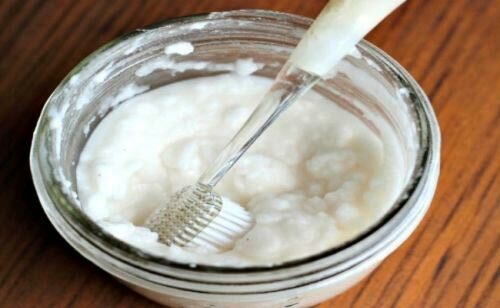 2) Yogurt Hair Mask: Packed with Vitamin B5 and protein, curd is extremely beneficial for the hair as it not just moisturizes it but also combats dandruff. The anti – bacterial agents in curd relieves one from itchiness and irritation of the scalp. Spread a thick layer of curd on your scalp and massage it gently from hair follicles to the end. Leave it on for about an hour before rinsing it off with a mild shampoo. Remember to wash your hair with lukewarm water. 3) Neem: The leaves of neem have been in use since time immemorial. The anti-bacterial and anti-fungal properties of neem can not only cure dandruff but also help with hair loss and lice. 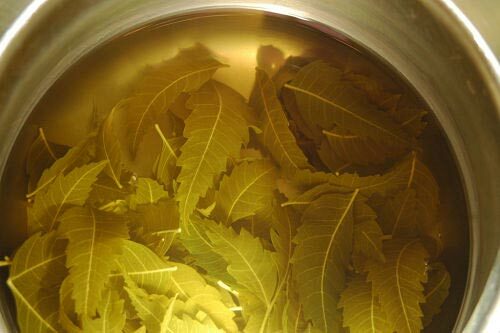 Boil a handful of neem leaves in water. Let it boil until the color of water changes. After the water has cooled down, remove the leaves. Apply this decoction on your scalp and leave it on for half an hour before rinsing. For best results, apply it at least 2-3 times in a week. This is one of the best natural treatments for dandruff. 4) Apple Cider Vinegar: Out of numerous benefits of Apple Cider Vinegar, arresting and fighting off dandruff is one of them. The acidity present in apple cider vinegar restores the ph balance of the scalp which restricts the growth of yeast. It also helps to clean clogged pores and hair follicles. Take two tablespoons of apple cider vinegar and mix it with an equal amount of water. Apply the mixture on your scalp and massage it well. Leave it on for minimum 30 minutes before washing it off with a mild shampoo. 5) Coconut Oil Massage: Massaging your scalp with coconut oil can be much more beneficial than you can even begin to imagine! 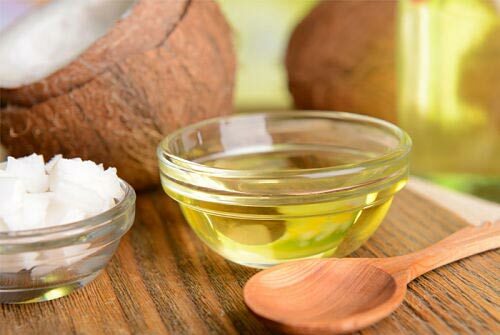 Apart from promoting blood circulation, coconut oil also fights dandruff. Laden with anti-fungal properties, the oil doesn’t allow fungus to sit on your head for long, thus freeing your hair from dandruff. Heat the oil and then massage your scalp very gently in circular motion for at least 10 minutes twice a week. Keep the oil for a minimum of 1 hour or more on your scalp for better results. 6) Baking Soda: It acts as a natural exfoliator for hair by cleansing off excess oil, dirt and dead cells. This ingredient is a blessing for people who have oily hair. The alkaline nature of baking soda balances the PH level of the scalp, which in turn, wards off dandruff. Mix 1 tsp of baking soda with rose water to make a paste. Apply the paste on wet hair. Leave it on the scalp for 15 minutes then rinse it off with lukewarm water. This is one of the most effective home remedies for dandruff and hairfall. 7) Fenugreek Seed Paste: Popularly known as methi seeds, this food ingredient is found in almost every Indian household. Packed with protein and nicotinic, it reduces hair fall and keeps dandruff at bay. The anti-fungal properties of Fenugreek removes the fungus off your scalp, thus making your hair healthy and dandruff free. Soak the seeds overnight to soften them and then grind it to make a cream or paste. Apply the paste on your hair and leave it for at least one hour before rinsing it off. 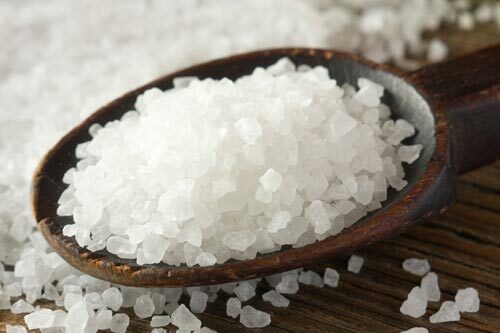 8) Sea Salt: This acts as an exfoliator as it absorbs excess oil, dirt and grease. By eradicating excess oil, it also inhabits the growth of fungus, which in turn prevents dandruff. To apply sea salt, warm some water and then let it cool. Add 2 table spoon of sea salt in the water and apply the mixture on your scalp. Massage it well and then wash it off with a mild shampoo. 9) Aloe Vera: There are abundant benefits of aloe vera for the hair and skin. Hailed for its anti-microbial properties, aloe vera combats the fungus, thus keeping those white flakes at bay. The healing nature of aloe vera also relaxes itchy and dry scalp. Take a leaf of aloe vera, cut it into two and extract the gel coming out of it on your scalp. Gently massage the gel and leave it overnight if possible. Wash it off the next day with a mild shampoo. 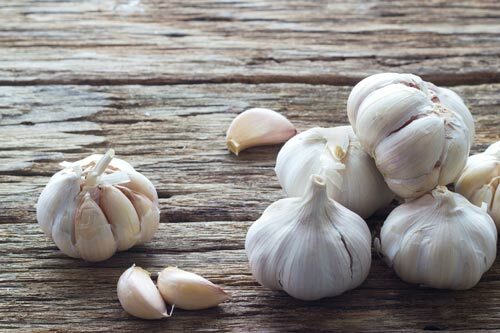 10) Garlic: Being rich in anti- bacterial properties, garlic can treat dandruff naturally. Laden with anti- oxidants and anti-biotic called, ‘Allicin’, garlic aids in fighting fungus and bacteria which causes dandruff. You can simply rub the crushed garlic on your scalp, however if you cannot bear the smell, mix it with honey and leave it on your hair for a minimum of 30 minutes before washing it off. These were some of the best home remedies to treat dandruff naturally at home. Hope you find them useful.